OPPO Realme 2 has been launched in India on Tuesday, at an event in New Delhi. starting price of Rs 8,990 for the base model with 3GB RAM and 32GB storage. There is a 4GB RAM and 64GB storage variant as well, which will cost Rs 10,990. The first sale goes live on 4th September, 12pm on flipkart. The Realme 2 comes with features such as face unlock, a 4,230mAh battery, dual 4G VoLTE support, and up to 4GB of RAM. 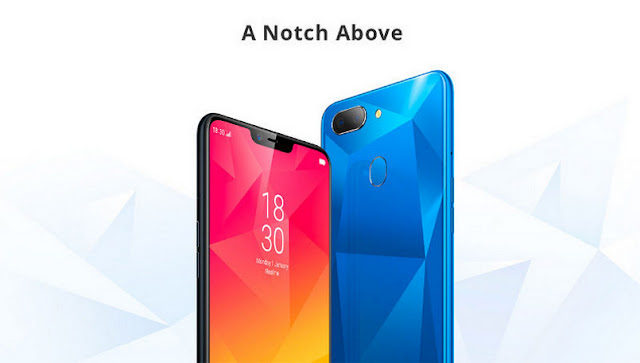 Realme 2 will feature a dual-rear camera configuration, as teased by the company. Realme2 gets a 13MP primary rear sensor, as well as a 2MP secondary lens. This will enable AI Beutification, as it also comes with the face recognition technology.